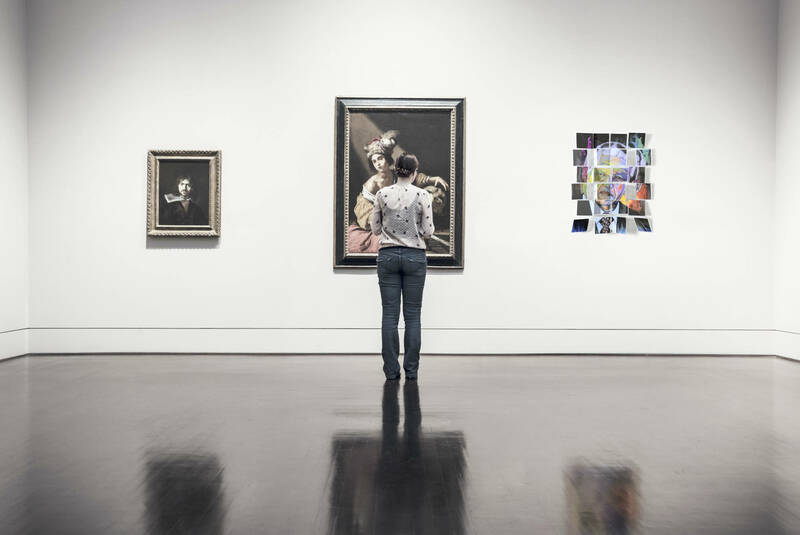 The problem, of course, is that when you hang pictures on your wall using traditional means, you can easily wreak havoc on the wall, leaving scuffs, marks, and even holes that you have to deal with later on. That means you need to look at your space and determine where you want to hang your images. 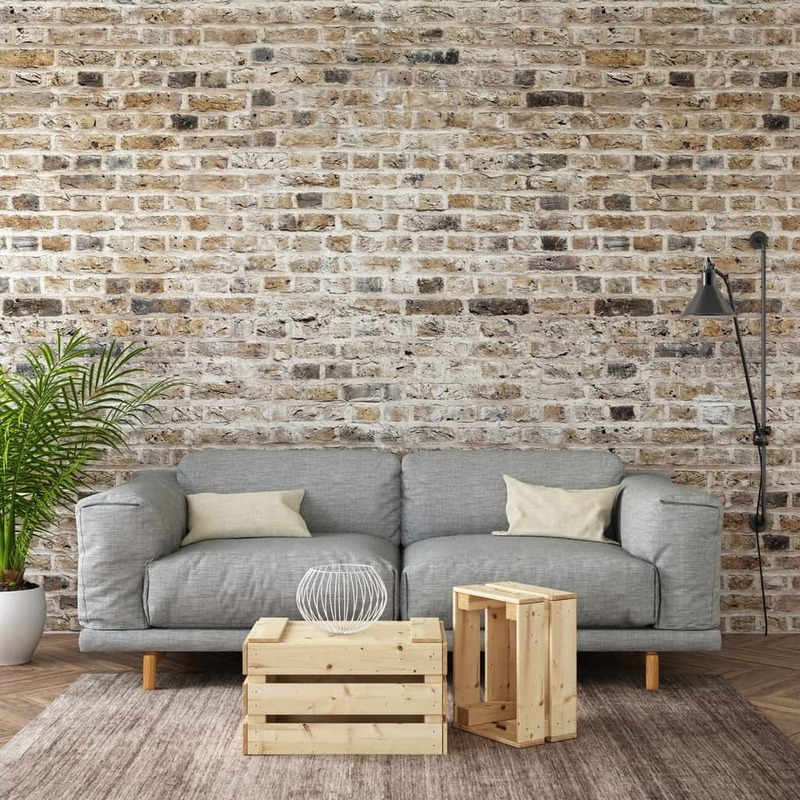 What's more, you need to consider the size of the image you wish to hang to avoid having a piece that's way too small or way too large for the amount of wall space that's available. Something else to keep in mind is to hang your pictures at eye level. Now, I'm a tall guy, and my wife is short, so sometimes there needs to be a bit of a compromise. When you have a location selected, you might need to find a stud so you're sure the picture hanger can safely hold the image. Granted, if it's a small print in a lightweight frame, you can probably get away without having the hanger nailed into a stud. But if you have a large print or one that's in a very heavy frame, be sure you've got the hanger secured to a stud lest the photo comes crashing down, leaving a big hole in your wall behind it! 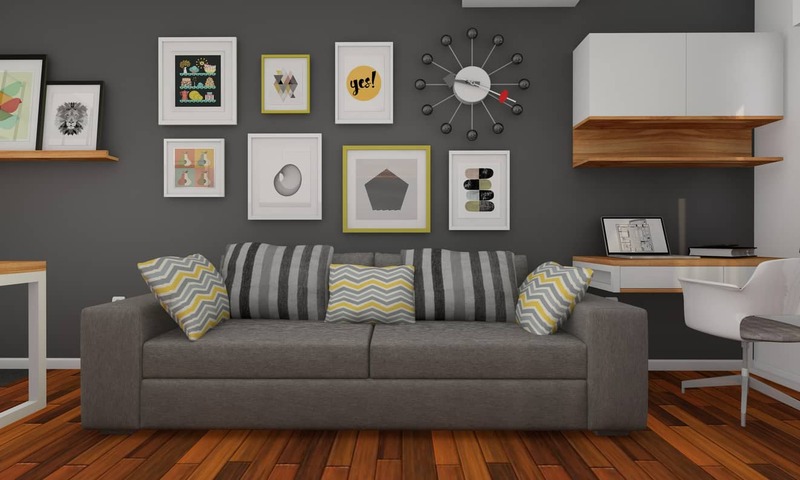 Before you start hammering away, it's a good idea to lay out the measurements of your photo on the wall. This is particularly important if you have multiple photos to hang. By marking the places where you need to mount the hanging brackets, you can ensure that you've planned the space well. Using a level to ensure that each mark is on the same plane as the others is a good idea, too. If you aren't a very spatial person, consider using paper as dummy art. Just cut the paper to size, tape it on the wall, and step back to get a visual of how your images will look once they've taken their place on the wall. 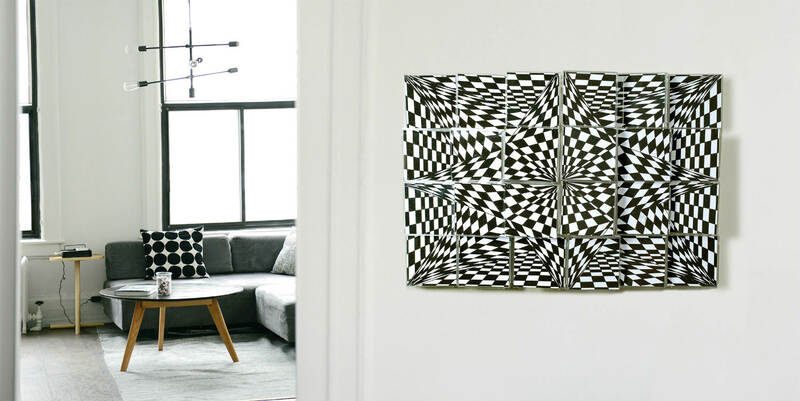 But what happens if in a couple of years you want to hang different images? You're back at square one, and with holes all over your wall to boot! There's an up-and-coming product that fits the bill, too - Memorywall. 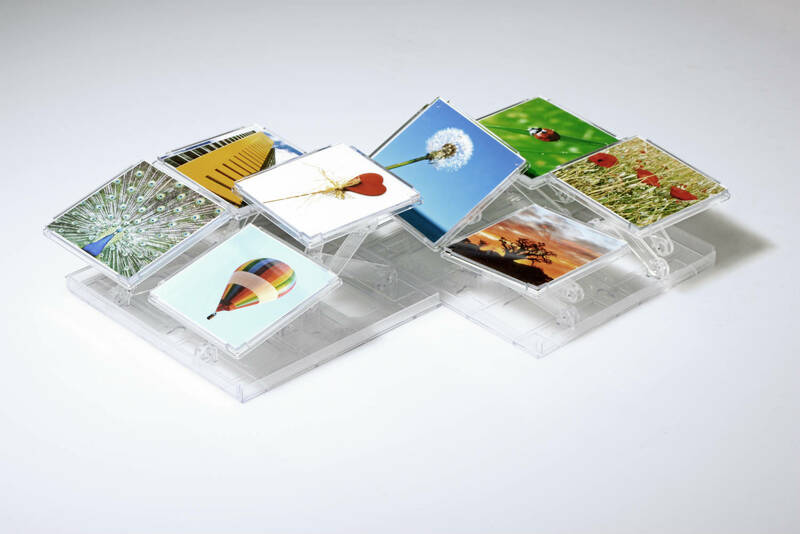 Each Memorywall unit measures 8-inches by 8-inches and contains four 4x4-inch frames. 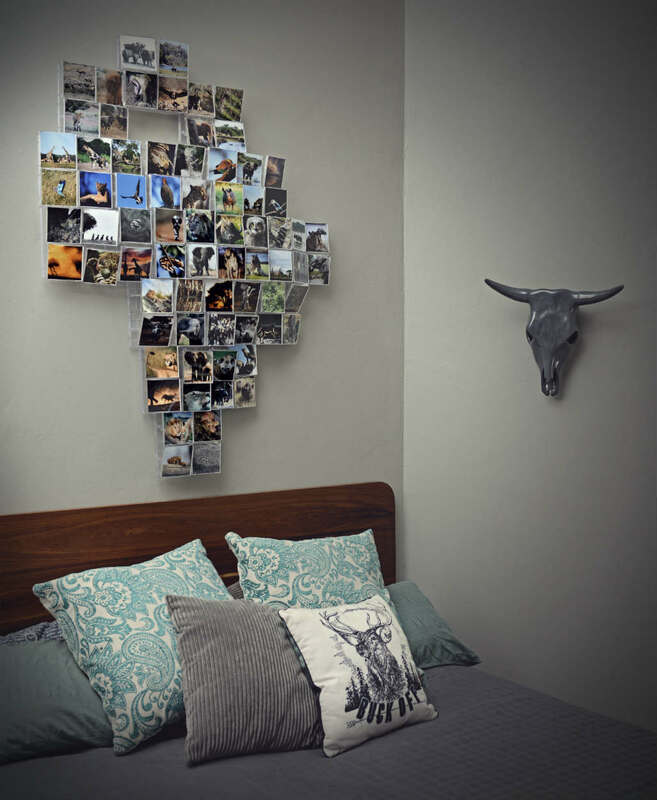 And you can connect Memorywall units together to create a breathtaking mosaic of your favorite photos. 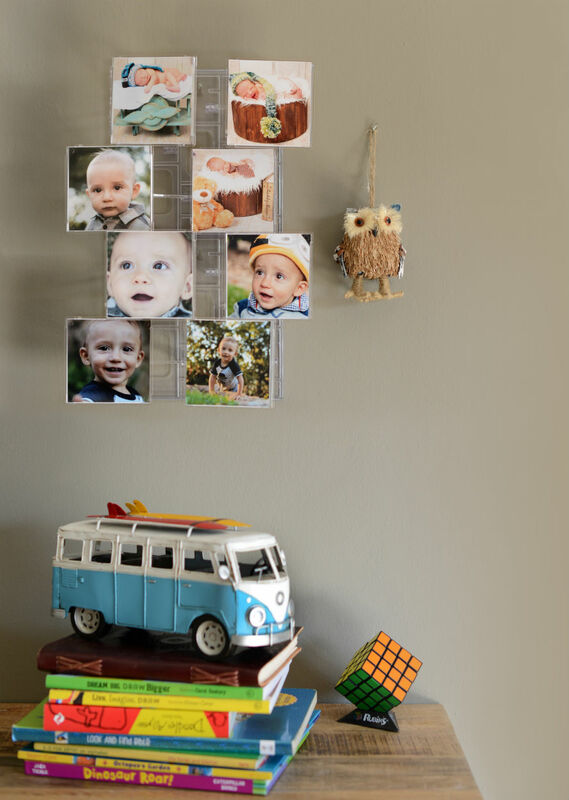 And don't think that Memorywall is just a great way to show off your photos, either. It's a time-saver as well! Think about it...if you get tired of the photos you have on display, just swap them out! There's no need to remove Memorywall, no need to replan your photo display, no need to measure or find the studs in the wall again. Heck, I've got hundreds of photos I'd love to display, but no room to show them all off. I, for one, can't wait to get my hands on this thing. It's an innovative and exciting product that I'm sure will turn the photo industry on its head. And as you can see, it's not just for photos...Memorywall can be used to create stunning art displays too! But don't take my word for it. Check out how Memorywall was developed and why it's such an ingenious product in the video above.